"Want to Make Money Faster? Let Me Train You For 4 Weeks and Watch Me Set Up Live, Profitable Campaigns In Front Of You!" Claim Your 4-Week "LIVE" Coaching Spot Now! Do you wish you could WATCH someone build profitable campaigns in front of you? Would you like to SEE exactly how I find products, set up my ads, and make money in front of you? Do you want me to REVIEW and IMPROVE your campaigns and ads as you're working through the course? Have you ever thought of hiring a coach to help you build your online business? I bet you have, but coaching normally costs thousands, and who's got that kind of money? So, I have decided to offer this 4-week Group Coaching Program instead. This offer is backed by an ironclad 100% money back guarantee. 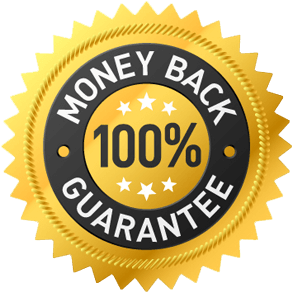 If you only generate $1,000.00 in revenue and you wanted $1,001.00… Or for ANY reason, you decide this just isn’t right for you… All you’ll have to do is click your mouse one time and you’ll receive an immediate refund, no questions asked. That means the risk is on ME to prove that my 4-week coaching program does everything I say it does… and I can’t wait to prove that to you. So click the button above to get your 4-week coaching package with confidence and peace of mind!